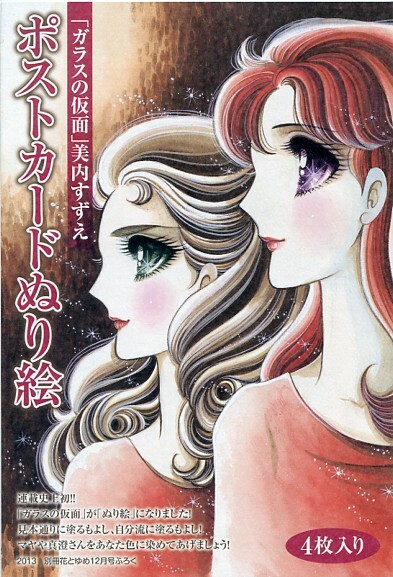 Finally, wrapping up this month's releases, we have the third chapter of "Baraou no Souretsu". This series gets better and better to me. I love it! 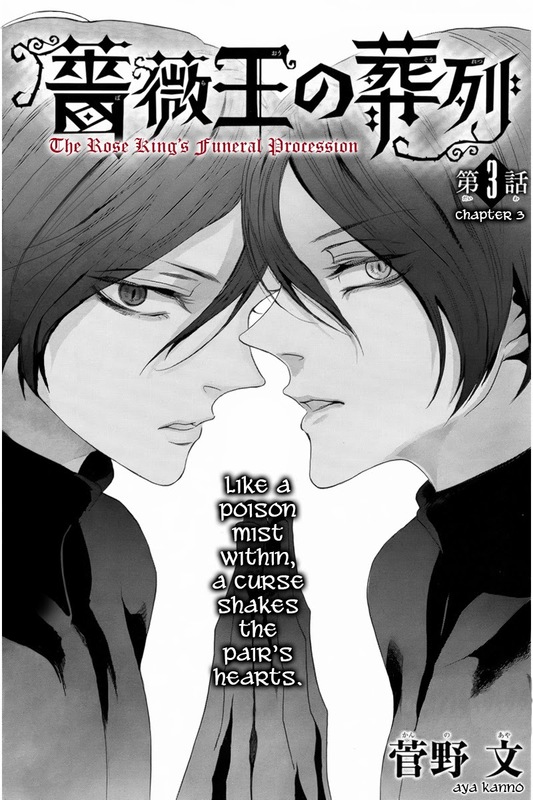 I've been reading up on the history of Richard III and the War of the Roses, so I'm excited to see how Kanno-sensei will reinterpret was little is know about that time. What I do know is that it was a brutal time. Lots of people, nobles and peasants, were killed, and there was treachery within the royal family and nobility. The story is still at a place before Shakespeare's play about Richard III play begins. It just occurred to me that perhaps I should go read the "Henry VI" trilogy. Hmm... Speaking of that, after looking online at various synopsis of the Henry VI plays, I made a little change from what Kanno wrote. In the Japanese, Margaret refers to someone named "Pole". This is supposed to be her lover William de la Pole. However, in English it would read laughably for Margaret to longing for her beloved "Pole"... uh... so I changed it to "William". Anyhow, it seems that these early chapters are pulling from the "Henry VI" trilogy, and this chapter takes place toward the end of Part 2. Richard and Henry... sigh... I love this pairing, but we already know how Shakespeare ends this relationship. *Spiral of Tears*. But I'm eager to see how Kanno-sensei gets us to this conclusion, and will she stick with Shakespeare's bias that Richard is the height of villainy, or will she bake in other accounts that say Richard was brutal but fair, and ultimately a good ruler within the confines of the times. More importantly, by which means will she choose Henry death? I can't wait!!! Okay. Now onto the release! Continuing on with the resolution of the Valentine's Day incident... Haha! Part of me wishes Tsumugi would beat the crap out of Yuri. But Tsumugi's a gentle girl, so she handles it the way she handles everything else. And without much delay, on to the release! This is the last of the typical shoujo high school love-train series we're going to do. I guess you could say since a supernatural being is involved, it's already not that typical, but still, somehow this feels especially "big-eyed" to me. 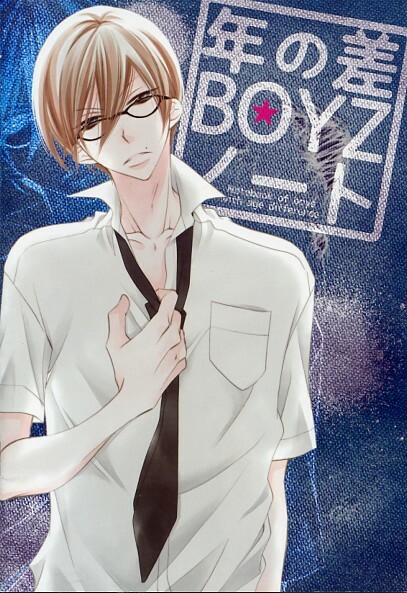 I chose this short-series because I like the guy -- calm, smart, introverted, megane ... >_> . I don't care much the female MC. She the typical bubbly brainless girl who's going to confess to the popular sempai she's been crushing on. She remind me of Shouko from "Ore to Atashi". Ugh... go away. Get off my megane, you darned gad fly! Thanks for Peonine and Jade for a well done translation and localization, Akire and Suzume for cleaning, Ichi and Kumiko for doing some awesome redraw magic (!!! 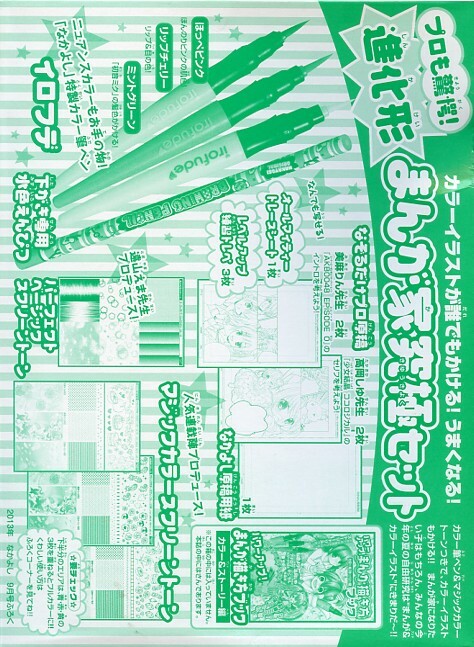 ), and Suzume for some very skilled typesetting. Thank you all for making such a great looking and sounding release! "Summer Wars" Part 2 was a lot more fun than Part 1. My husband again criticized the series for not faithfully representing the IT profession, to which I reminded him again that no one wants to see a manga about real IT work and workers because they are BORING. 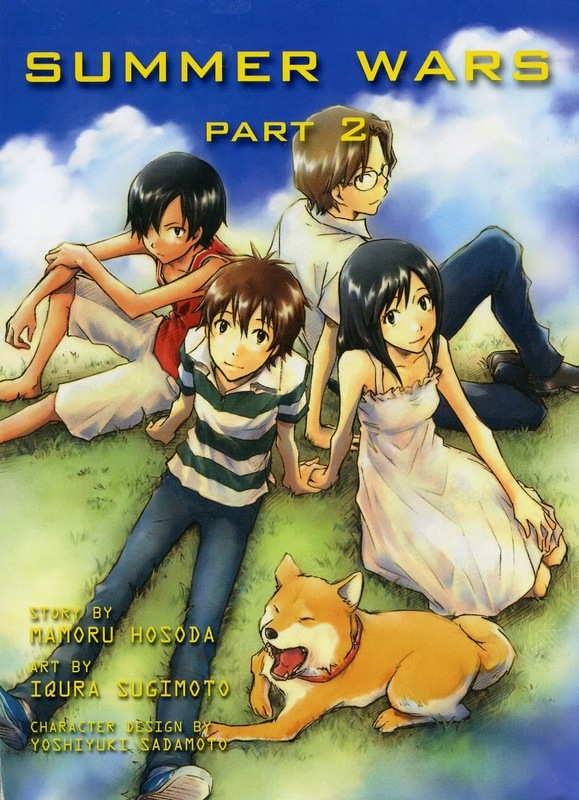 Again I recommend readers let "Summer Wars" take you into its world and just go with it. The thing I ended up liking the most about "Summer Wars" is even though the events that are taking place on a global scale, the story itself is focused on the relationship between the members of one family and one couple. The family must come together to solve the global problem and Kenji and Natsuki must grow up and discover their true strength so they can lead in Granny Sekai's place. It's got action and sci-fi, but at the same time it's grounded in a sweet old-fashioned slice-of-life scenerio. And to top is off, the pacing is very good. I couldn't put the book down until I was done. In summary, I give "Summer Wars" Part 2 an A, and the series as a whole an A-. I highly recommend this series and I encourage you to purchase it to send Vertical the message that this is the kind of stuff we like. More please! It's been a while since our last release. Most of the releases that we are working on are over 40-pages and therefore require more time than usual to complete. Anyhow, we're chugging along now, so hopefully we'll get back to our average 2 releases/week schedule. 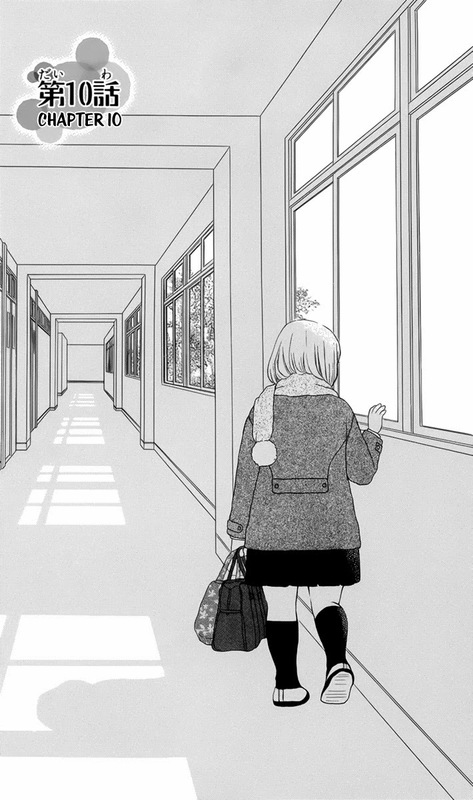 Here is the second chapter of "Kanojo ni Naru Hi -- Another". I like how this story begins by focusing on friendship and self-acceptance (regardless of gender) first. I guess I say this because it's clear Sagara got in lots of fights before emergence because he didn't like being small and feminine looking even as a boy. After reading this chapter, I want to know more about Kurokawa and what it's like to emerge as a child. (Seeing Sagara and Kurokawa in the past would be a nice short special chapter.) Also the situation they get into toward the end of the chapter raises some interesting sexism questions. You would think in a society where some males become females that there would be more gender equality. But as shown through Sagara and Kurokawa, it seems that there is some loss of status after a boy emerges. I hope Ogura explores this more. Interestingly, this didn't seem to be much of an issue with Mamiya because he was cool and confident both as a male and then as a female. I guess I want to understand this deeper. How do families feel when their son emerges? Is it a joyous occasion or is it a source of shame? Also, how do girls feel about emerged girls? Are they accepted as "real girls"? Or are "emerged girls" marginalized both by girls and boys? I better stop now before I get to rambly. And now onto the release! "P + JK" The difficulty of scanlating this series outweighs the goodness. Hopefully since it's popular in Japan it'll get licensed here. It's very tame in terms of age-gap series, so I don't see why it couldn't be licensed. I will though write up summaries as I read for leisure. It is a really cute series. 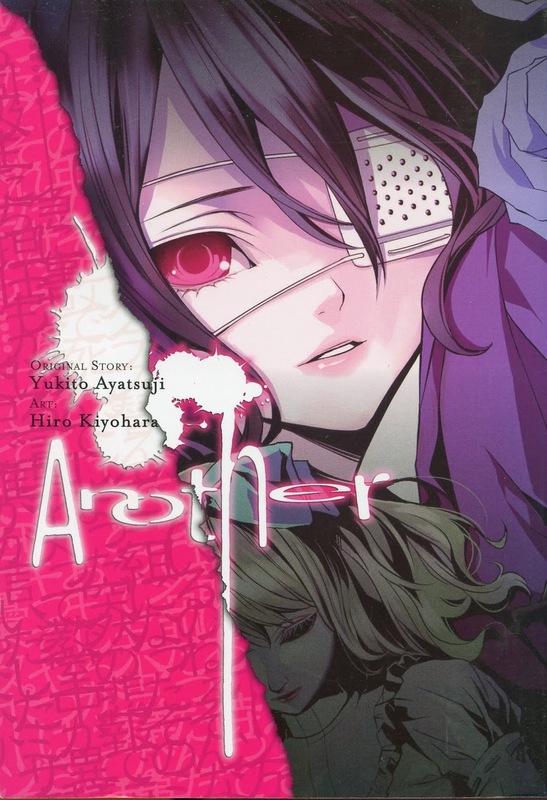 "Kanojo ni Naru Hi -- Another"
There are several other short series under consideration. We will announce them when we start to work on them. This feels like the end of an era for Crimson Flowers. 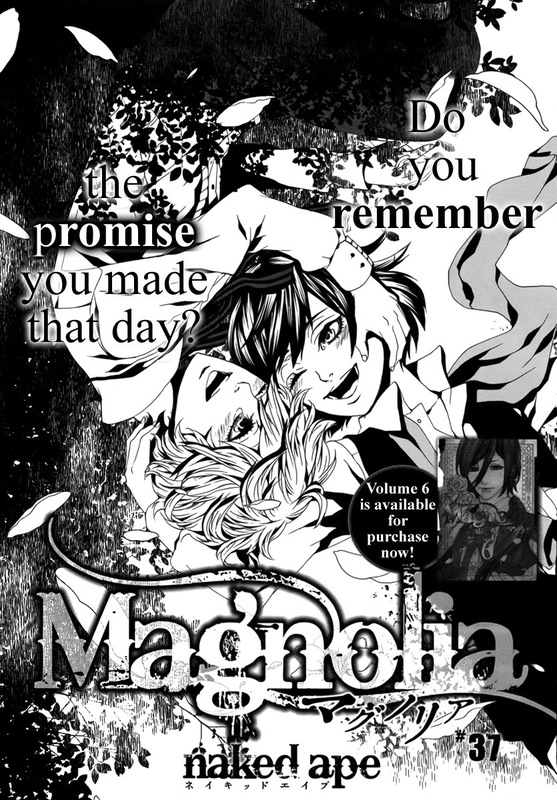 We started "Magnolia" 3-1/2 years ago with the very first issue of Aria magazine. I can't believe that we actually completed a 38-chapter series from start to finish! First of all, many thanks to Naked Aped for creating such a wonderful series. Please show your thanks to Naked Ape by purchasing the tankoubons. They are beautiful high quality compilations with lots of extras that I think fans will really enjoy. Links to purchase are on the "Magnolia" project page HERE. 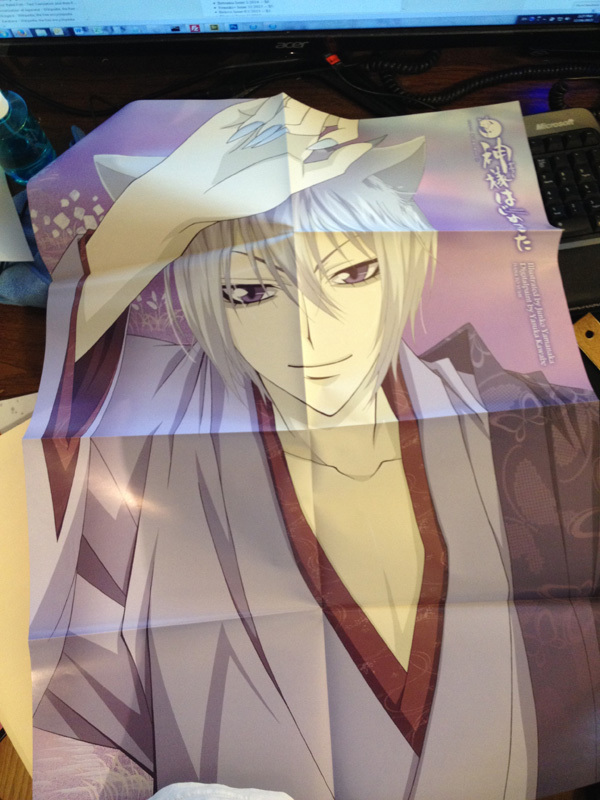 There are also two drama CDs available for purchase. Next, thanks to all the cleaners, redraws artists, and proofreaders/QCers who worked on the project over the years. Thanks to all of you, we were able to do some wonderful releases! And finally, thanks to the readers who supported the series and shared thoughts in the comments section. I had a lot of fun sharing and talking about "Magnolia" with you. 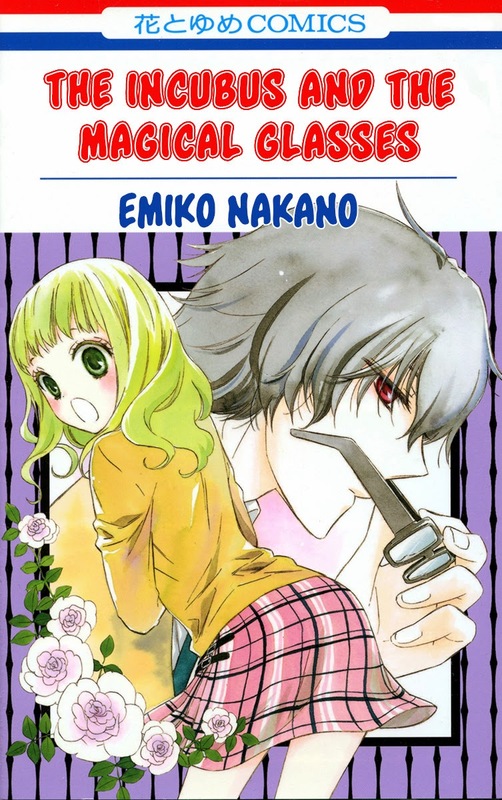 I thought this series would run at least 10 volumes, so I'm sad to see that it was suddenly cut short at 38 chapters. I'm happy to have an ending rather than no ending, but even with this ending, not all the strings are tied. I hope to there is a special chapter released at some point to tie these loose ends. Anyhow, Naked Ape's new series will start next spring. We will, of course, evaluate the series. As a final note, we will remove the links and the files from our servers if "Magnolia" is licensed in English and available in the US. 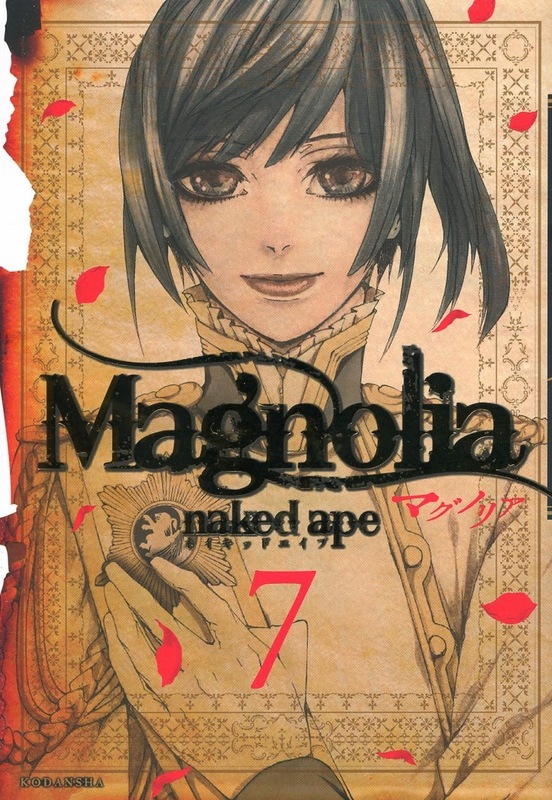 It is our hope that "Magnolia" is licensed so we all can enjoy a professional translation and English book presentation. And now onto the final chapter! I wanted this to be our final release of 2013, but I underestimated how challenging the redraws and the lettering for this oneshot would be. (Give a big thanks to Ichigo Stars for her amazing redrawing! This release looks fabulous!) Despite the setting of this manga being the hottest thing in current pop culture, this is the first time I've seen a shoujo manga set in a zombie apocalypse. And no, there aren't any cute moe-girlfriend zombies in this oneshot. Nope, this is a straight-up horror, but at the same time it's fearless and sweet. This is one of my favorite oneshots from Lala Fantasy. 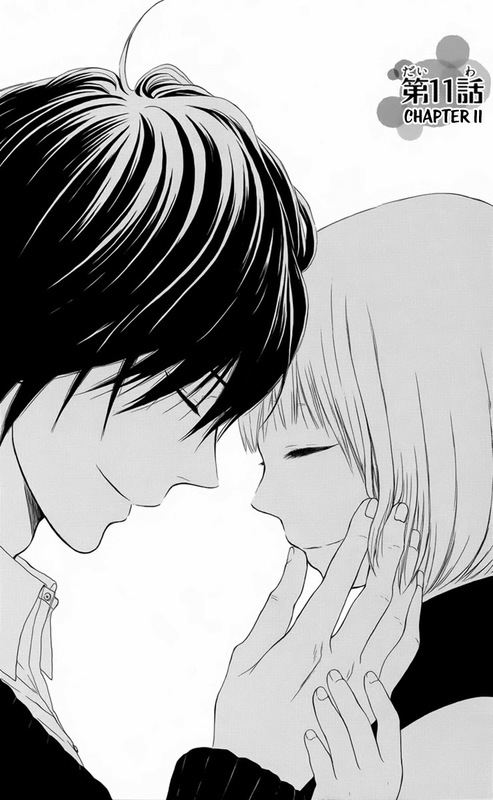 I hope to see more daring oneshots like this in shoujo this new year. I couldn't get passed the first few episodes of the anime because it was too slow, but in manga form I can follow it. Wow... does nobody notice the mass psychosis? All right, I'm going to put aside the absurdity of this curse and accept and enjoy the story that's being told. Artwork A: The color pages are gorgeous and the comic artwork is uncluttered. There is a lot of focus on faces and eyes, while having just enough background to indicate place and mood. The characters look like middle schoolers, the adults look like adults, and there's very little fanservice to distract from the story. 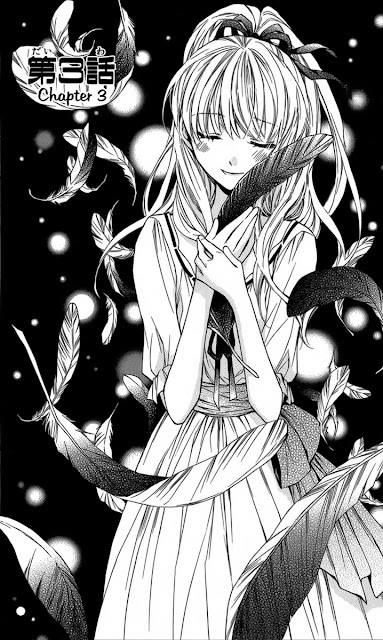 There is also nice use of screentones to create the dark atmosphere. The artwork balances well with the story -- it supports the story rather than overshadowing the story. Presentation A- : This is tome! The thickness made it difficult to read in the tub and the gym. I think it would have been better to break it into two volume omnibuses rather than packing all 4 volumes into one book. However, the book is so lovely that all is forgive. The cover is striking. The hot pink and contrasting purple and gray appeal to me. 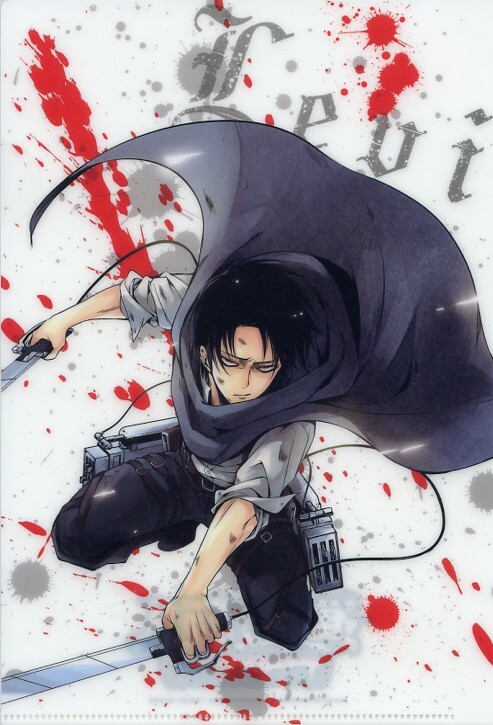 There are quite a few lovely color page between each volume. And then there's the large size. I love larger size manga because my eyesight is crap and I need larger text. The translation also read smoothly and naturally. 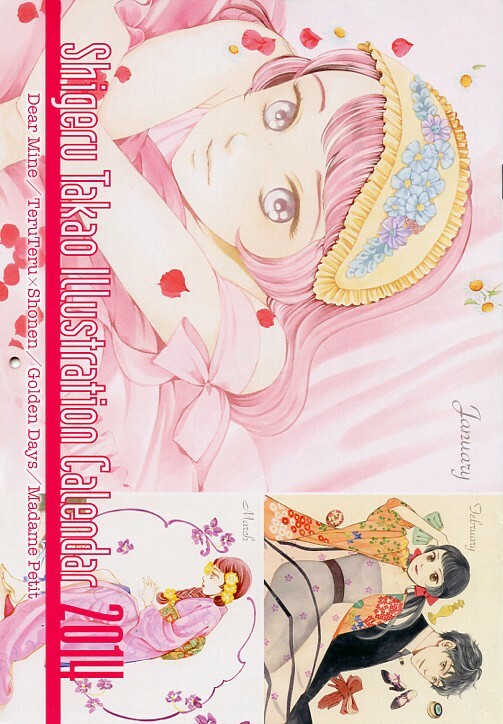 Needless to say, at $17.99, this is an excellent bargain considering it's four volumes ($4.50/volume!!!). Story B: The story itself is ridiculous. While reading this, so many solutions to the "curse" crossed my mind, including the most obvious solution of everybody recognizing the mass psychosis. Curse stories usually annoy me in this sense because they become self-fulfilling prophecies. But... the curse must be forced or else there would not be a story. The central mystery of the story doesn't become apparent until the end. Once the revelation of how to stop the curse is made, the story becomes very paced paced and nail-biting. I like Sakakibara and Mei, the two main characters. The side characters were good too, accept for the crazy wench that goes all Lord of the Flies toward the end. I didn't like her and I suppose that was the point of her nasty character. 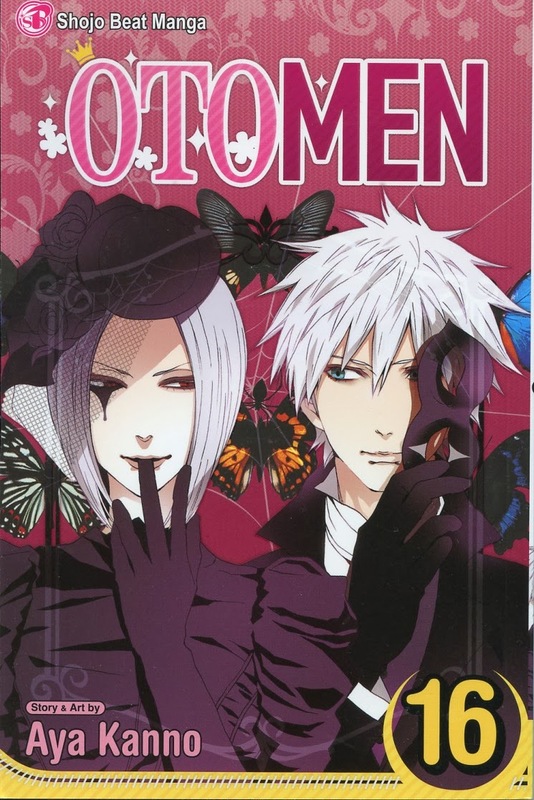 Ryo and the Otomen boys put on a play and Asuka's mom decides to save her son from his feminine ways by ruining his life. 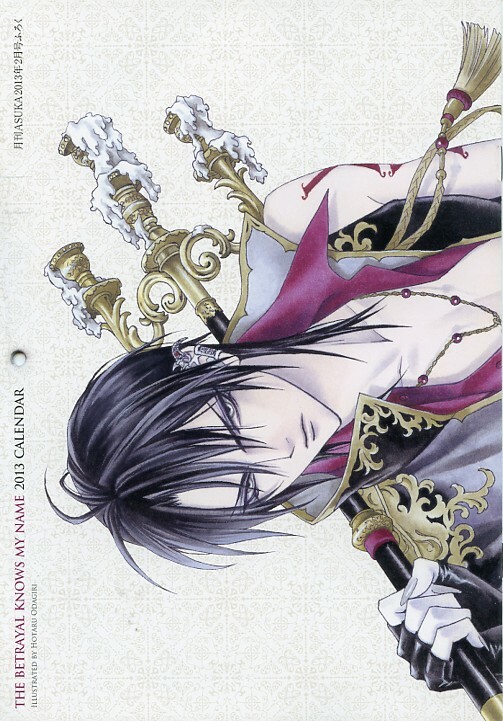 This volume closes the Yamato arc and in general signals the series is ending soon. I was kinda "meh" about this volume, but it was a quick read, so I was okay with it. Obviously the series had run too long, so the entire volume felt like filler, with a sudden rush of plot at the end. The rushed feeling at the end is kinda weird considering that there are 2 more volumes to go! The holidays are over, so real life is less busy. No longer in an overwhelmed state, we are accepting retranslation partners again. Please abide by the policy below or your request will be ignored. Come by my stuff and support Crimson Flowers! Gotta fund the group for the Winter 2014! I've been procrastinating for months, so there's a ton of stuff to sell. If you would like to buy my stuff, send me, Kuroneko003 an email using the contact like at the top right corner of the blog. All payments are handled through Paypal. Free USPS Media Mail shipping for order of 5 or more books magazines customers who are inside the US only. 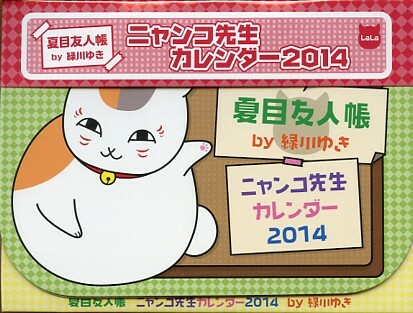 Japanese Language Magazines (US only by USPS Media Mail. No International shipping, unless you understand shipping is $35 mininum) -- Need some Japanese to read, curious about Japanese manga magazines, or missing a volume in your collection? Buy one or two! More stuff for sale here!!! I don't like to drop series, but I feel I should announce what we are formally dropping to give the team and the readers some clarity and closure. We do not drop series lightly. I usually agonize for months before dropping a series. We are dropping these series mainly because there isn't enough momentum within the group to keep the series going and there is a strong desire within the group to do more oneshots and one volume series, and therefore I need to free up the schedule. 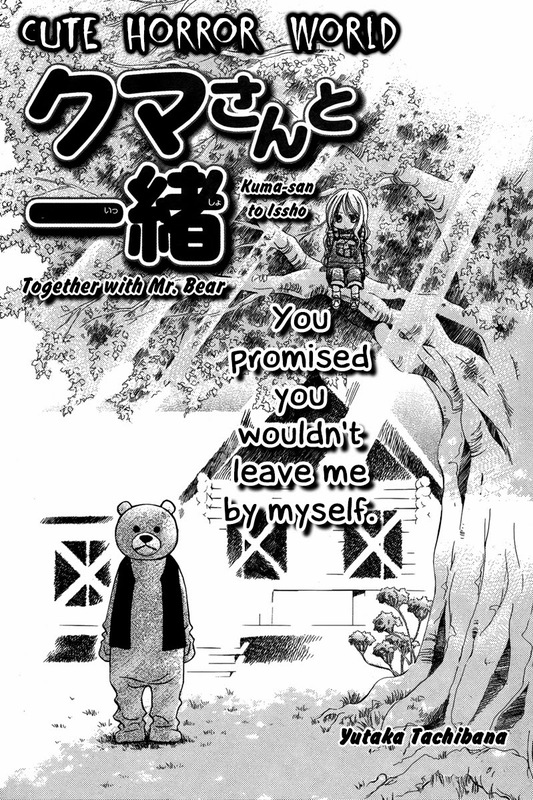 "Ore to Atashi no Kareshi-sama" -- We are dropping this series immediately. The way this series ends killed it for me. Also the redraws are ridiculous. "Pochamani" -- We will complete chapters 10 and 11 ASAP and then stop work on this series. Chapter 11 feels like the natural end of the story. 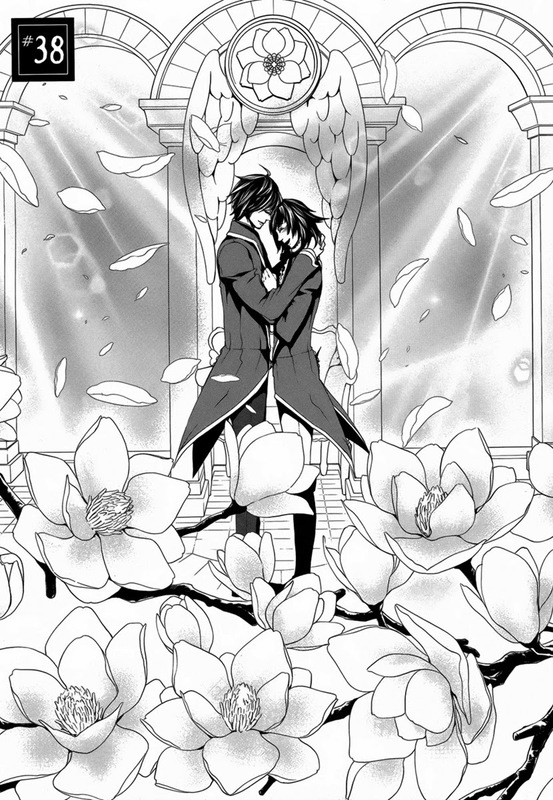 Beyond chapter 11 goes off the rails and into endless shoujo territory. "Kerberos in the Silver Rain" -- We are dropping this series immediately. Again, not enough momentum in the group to keep this going. I will continue reading this for my own pleasure. We having no plans to pass these series onto other groups, nor will we be facilitating any transfers. 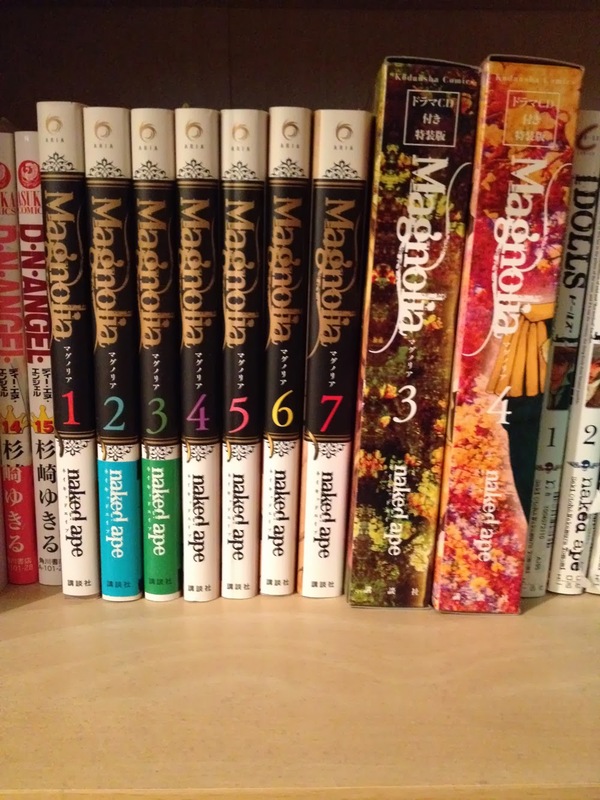 Groups that want to pick up these series should support the mangaka by purchasing the series. We have no immediate plans to pick up any series soon. Rather we will focus on finishing up "Magnolia", "Pochamani" Chps 10 & 11, "Rex Fabula", "Yukarism", "Kisu ni Renzoku", "Magical Change", and "The Ghost Apartment Manager" along with our regular ongoing series. Happy New Year! And now the final chapter of "Wild Wing". This started out as a oneshot in Shiro Lala 2011. A few months later it became a short series that ran in Lala DX. A big thanks to Jade for her wonderful translation and to Silver Lunar who cleaned the entire series. Also thanks for Aricania who took time out of her winter break to typeset the rest of this series and "LLLL".